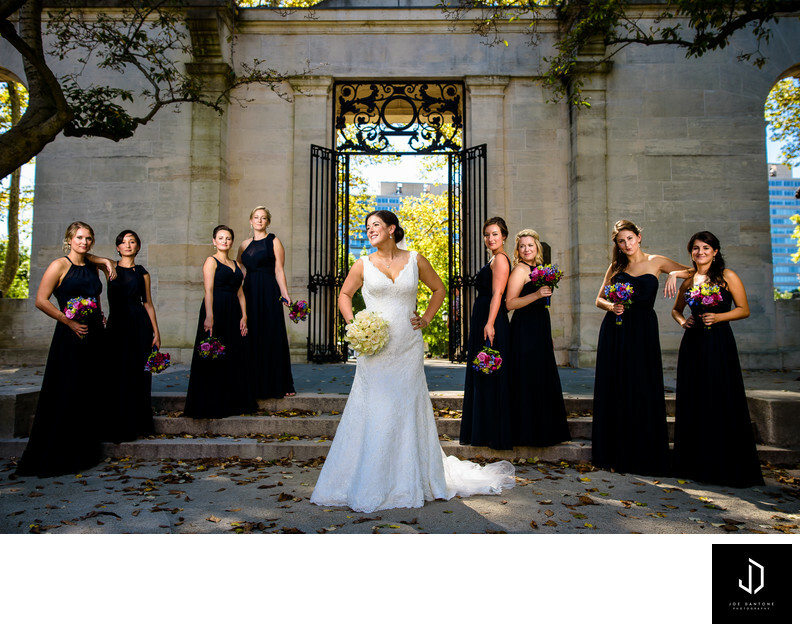 This Wedding Picture in Philadelphia features the Philadelphia Bride with her Bridesmaids getting ready to go to Ballroom at the Ben by Finley Catering for the wedding. This image was photographed at the Rodin Museum just off of the Ben Franklin Parkway in center city Philadelphia. After these photos the bride and groom headed to Ballroom at the Ben by Finley Catering to get ready for their wedding ceremony and their wedding reception. Location: 2151 Benjamin Franklin Pkwy, Philadelphia, PA 19130.